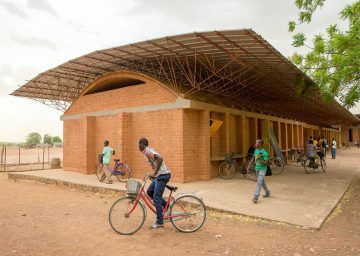 The architect Francis Kéré, born in Burkina Faso and based in Berlin since 2005, is a leading figure in socially engaged building design. 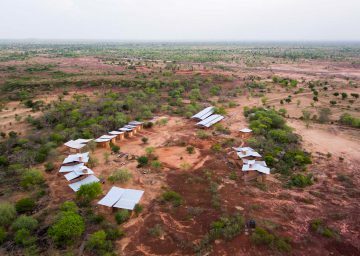 He won the internationally prestigious Aga Khan Award for Architecture in 2004 for his very first building, a primary school he designed in his home village of Gando, Burkina Faso. 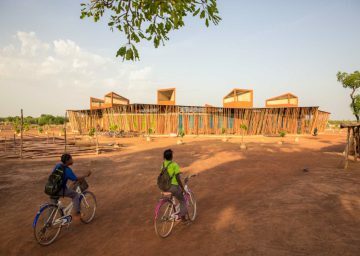 Kéré’s design received the award for its remarkable success in combining socially engaged and ecological design. The award heralded a series of building projects and architectural prizes. Within Africa, he has become an important role model for the coming generation through his commitment to combining ethical and aesthetic principles. In Germany, he is well known for his work with the director Christoph Schlingensief on the Opera Village in Burkina Faso in 2009. The Architekturmuseum der TU München presents »Francis Kéré. 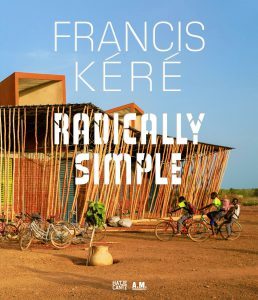 Radically Simple«, the most comprehensive exhibition yet on Kéré’s work, covering both his completed designs and his ongoing projects. 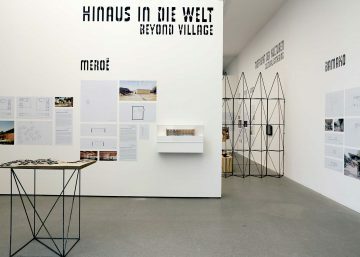 In addition to the buildings that he planned and realized in his home village of Gando, the exhibition displays his buildings in Africa and China, as well as his projects and designs in Germany, where he won two urban-planning competitions. 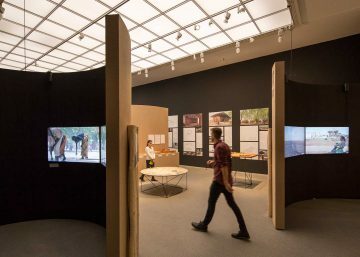 The exhibition guides visitors through the unique personal and professional life-journey of the architect. 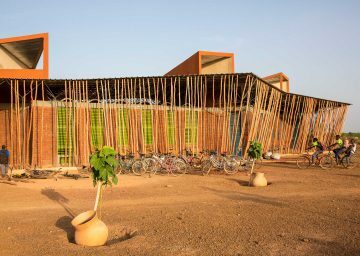 In the architecture scene, Kéré is one of the exceptional talents working in the field today because he has succeeded in taking both the strong cultural influences of his home country and the experiences he accrued while studying at the TU Berlin in Germany and translating them into a new, third way. 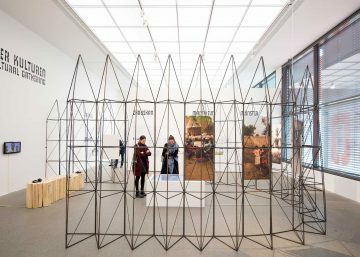 The show also dedicates space to Kéré’s extensive exhibition activities, comprising contributions and competition entries in London, Humlebæk, Milan, Bordeaux, Chicago, Weil am Rhein, Philadelphia and Venice. 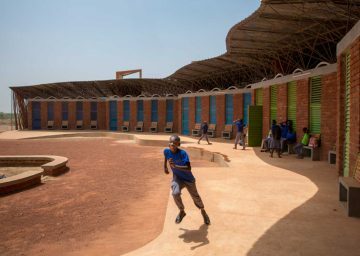 Through his powerful, sensory installations, Francis Kéré succeeds in transposing the basic principles of his work to a museum context. 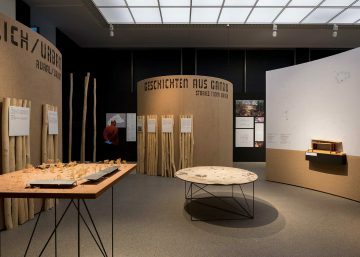 It is his smart use of local resources and his deep respect for cultural practice that make his designs and executed projects so relevant and convincing. 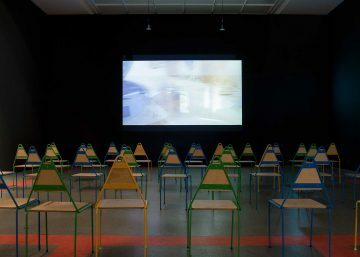 He specifically created the exhibition design for the exhibition at the Pinakothek der Moderne in Munich in order to create a unique experience for the visitor. 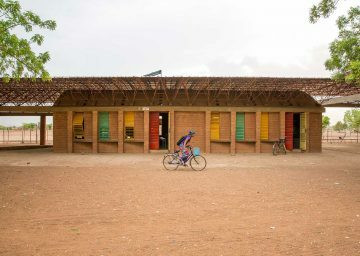 The photographer and video artist Daniel Schwartz has created many new images and videos of previously unpublished works for the exhibition, which now allow for a vivid and immediate encounter with the works of Francis Kéré, which are mostly located in geographically remote places.